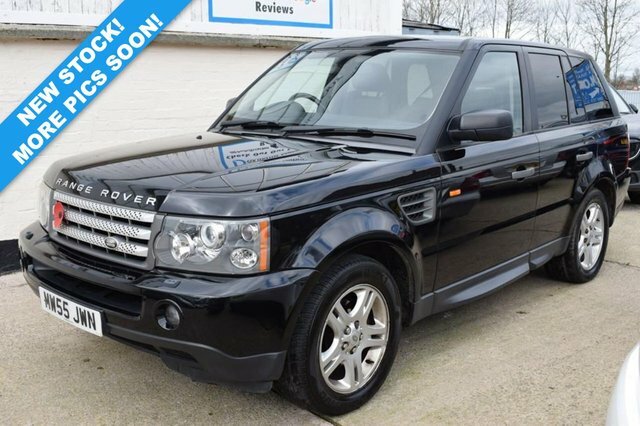 We Are Delighted To Offer This Fantastic Range Rover Sport 2.7 TDV6 SE Presented in Metallic Black With Matching Black Leather Interior and Supported By a Very Comprehensive Service History. This is Not to Be Confused With The Many Examples Which Have Been Passed From Pillar to Post. The Car Has Just One Previous Owner From New! Very Rare to Find in a Range Rover. The Specification is Fantastic With Many HSE Features Including Sat Nav, Front and Rear Heated Seats and the Harman Kardon Sound System. The Car Also Has The Added Bonus Of Sitting in the Lower Tax Bracket Meaning Just £315 For Road Tax Against the £560 Charge On The Majority Of These Cars. Service Intervals As Follows: 12578, 25584, 40835, 54984, 68943, 81420, 90632, 97170 and 109186. A Fresh Service Will Be Undertaken By Ourselves Alongside 12 Months MOT Offering the New Owner Maximum Peace Of Mind. SPECIFICATION INCLUDES: SAT NAV! HEATED FRONT AND REAR SEATS! PARKING SENSORS! CRUISE CONTROL! PRIVACY GLASS AND MORE!